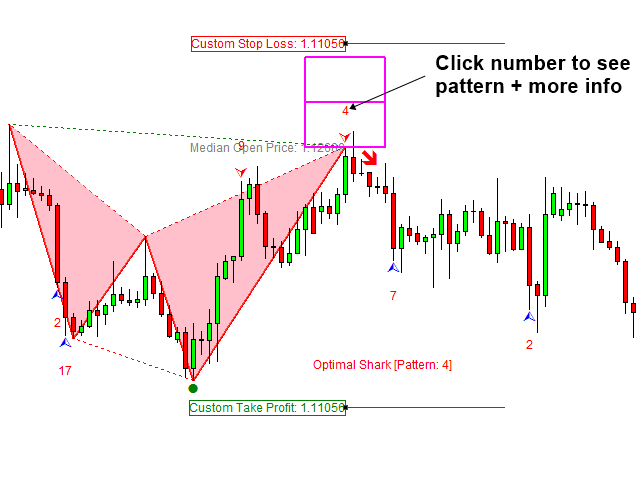 Provided stop loss and take profit levels are movable and automatically adjustable. 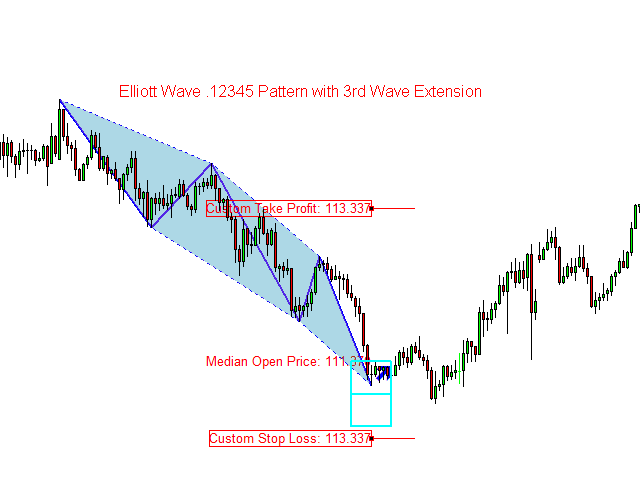 Potential reversal zone can be used to identify the location of turning point. 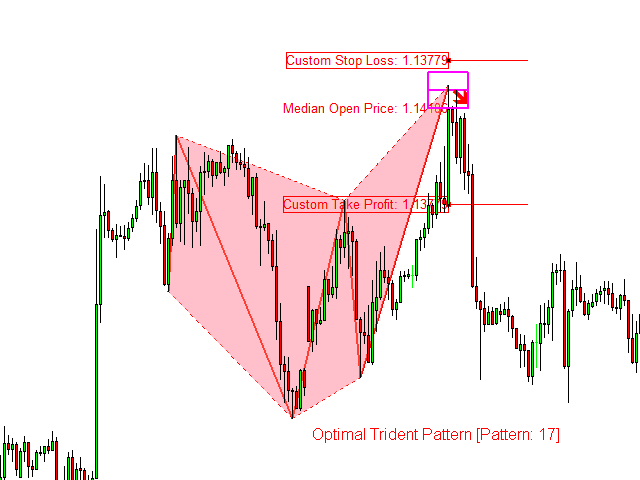 Potential continuation zone can be used to predict future price move after turning point detection. 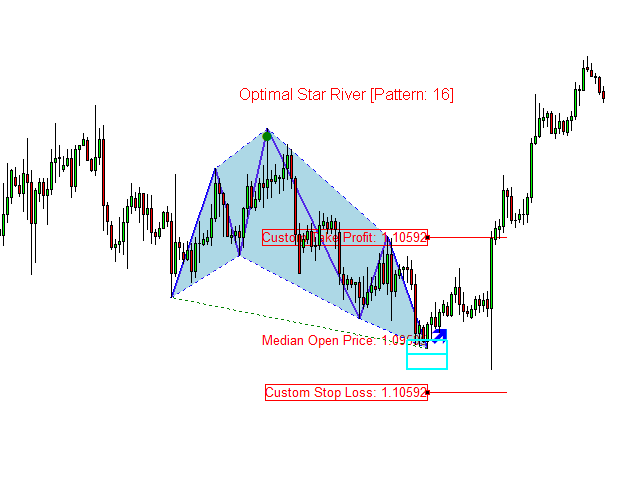 It is tactical place where you can set breakeven, or trail stop your profit or to open new entry according to the market condition. 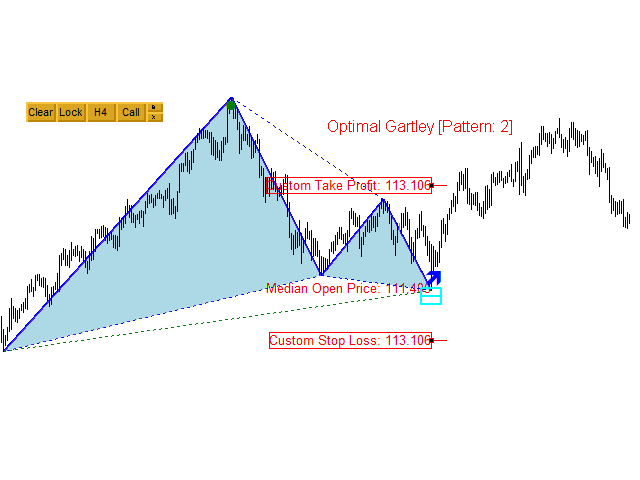 Even we provide most optimal turning point patterns with our pattern scanner. 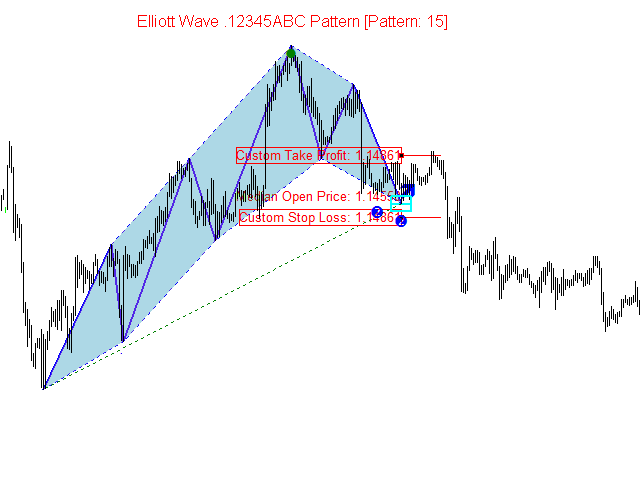 Any experienced trader will recommend using secondary confirmation together for better profits. 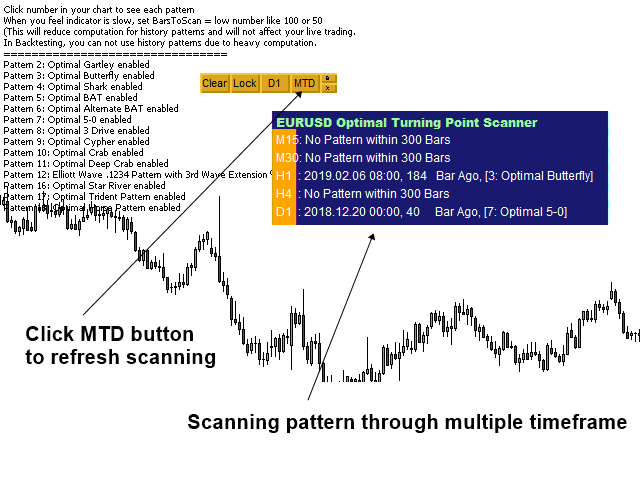 Depending on your skill, you can combine various secondary confirmation technique with Optimal Turning Point Pattern Scanner. 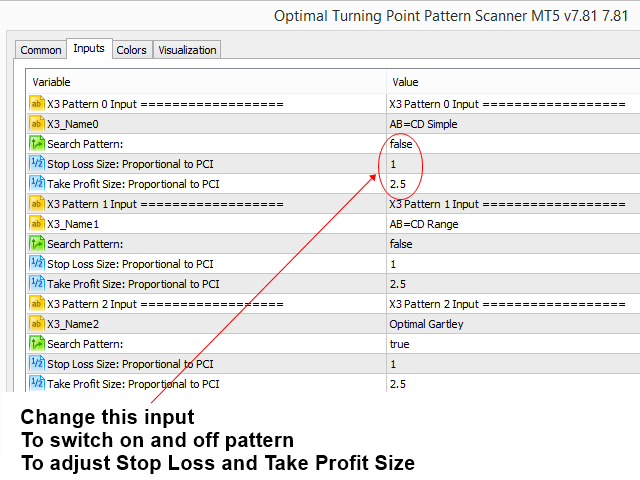 Optimal Turning Point Pattern Scanner provides many good patterns for your trading. 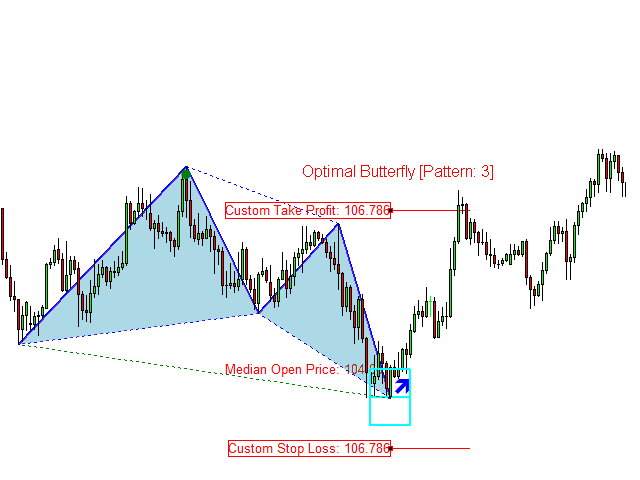 However, use the patterns you like most for your trading. Each pattern in the scanner can be switched on and off. Computation of history patterns can be heavy. To improve indicator speed, you can set BarsToScan = low number like 50 or 30 if necessary. This will reduce computation for history patterns but this will not affect your live trading. This indicator is testable in strategy tester up to 80% of its features. Please test it before purchasing. In Version 8.27, we have only made minor update. In terms of usage, it is exactly same as version 8.26. In version 8.17, minor polish up in code. 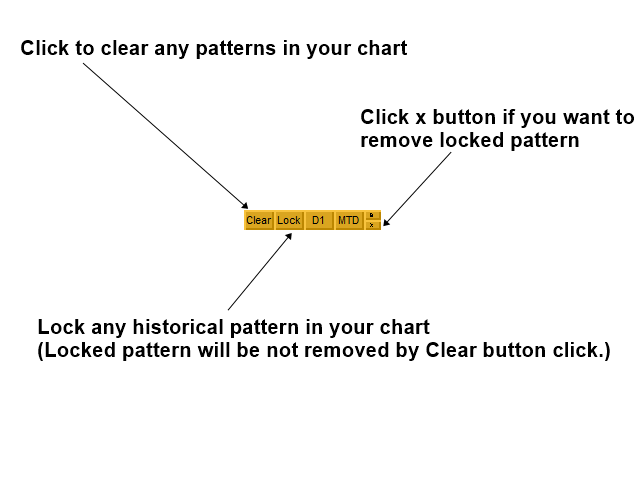 In version 7.91, we have added option to switch on and off history patterns. 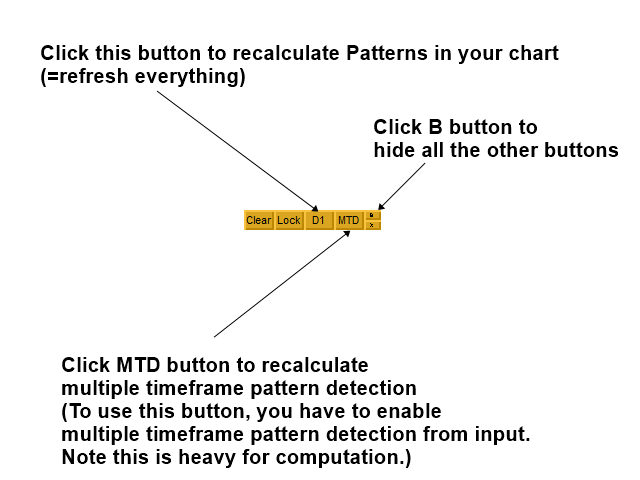 While you are testing the indicator in strategy tester, set "Show History Patterns" = false to process testing faster. In fact, history pattern is not important at all. They are there for reference and education purpose only. 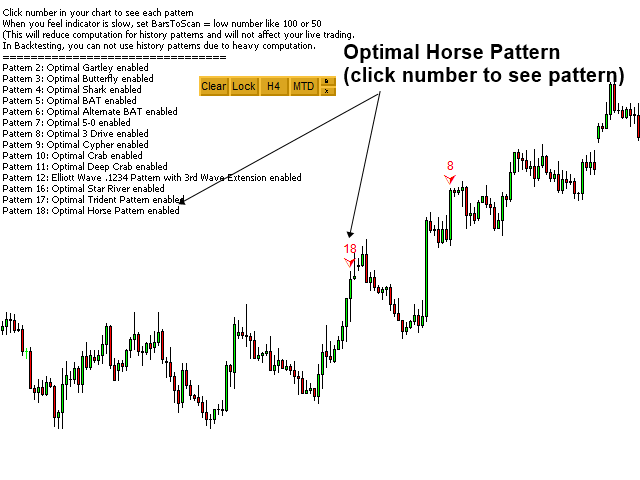 Please use signal pattern for your actual trading.